In his blockbuster memoir, the ex-FBI director who prosecuted Martha Stewart and worked at Bridgewater calls Donald Trump an unethical liar and a threat to American institutions. His yarn is riveting, but reveals Comey’s mix of principled leadership and sanctimonious showboating. 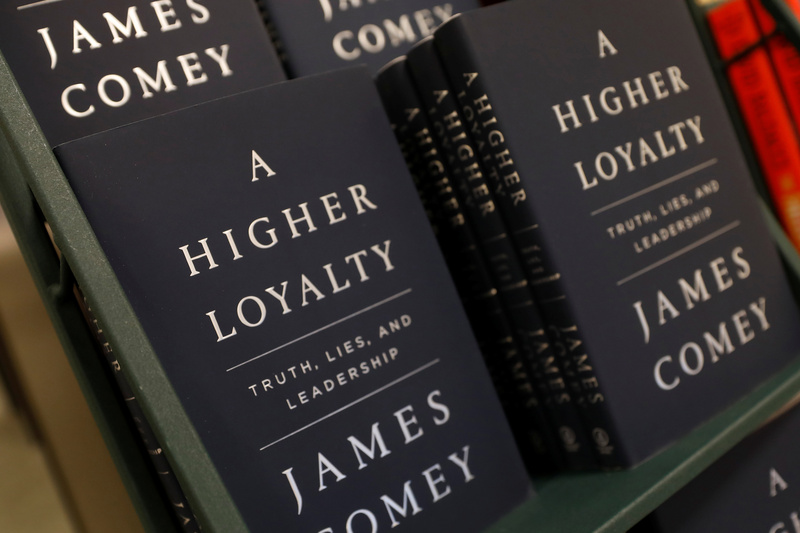 Copies of James Comey's book "A Higher Loyalty" are pictured in a book store in the Manhattan borough of New York City, New York, U.S., April 17, 2018. “A Higher Loyalty: Truth, Lies, and Leadership,” by James Comey, is published on April 17 by Flatiron Books.